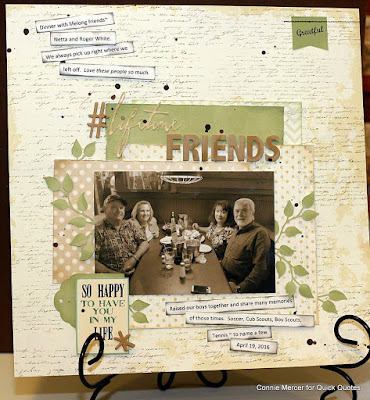 Hi, Connie here with a scrapbook page using the Chiffon Collection by Quick Quotes. 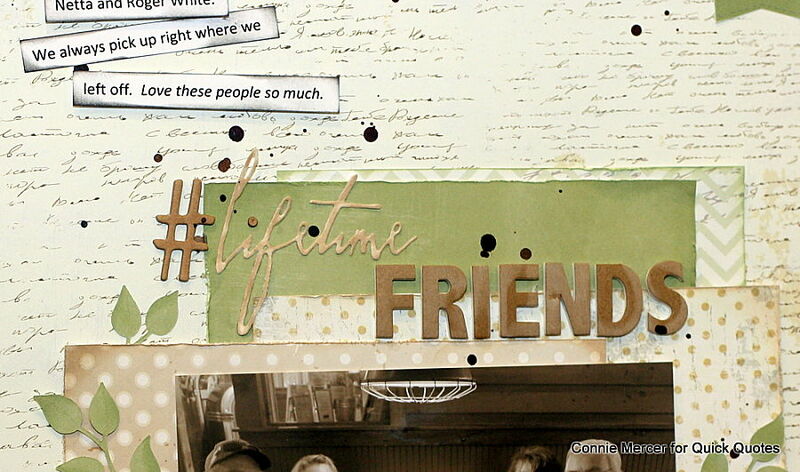 The papers are lovely together, so I wanted to use as many as I could. 1. 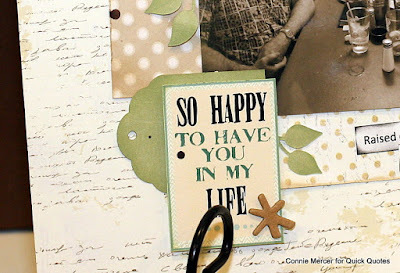 Gather the papers you would like to use for the center cluster. 2. Cut them in different sizes and distress the edges. 3. 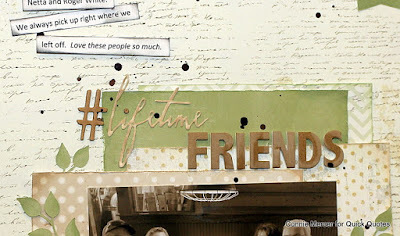 Ink with Quick Quotes PowderPuff Chalk Inks in Light Moss and Warm Sand. 4. Cluster them in the center of the page with all the papers peeking out. That is the photo mat that will hold your photo. 5. 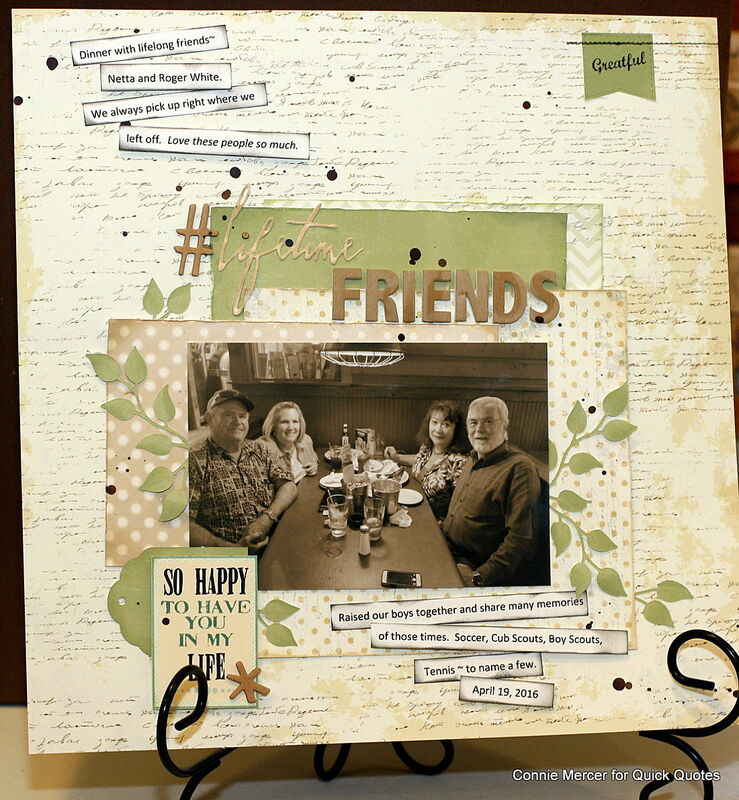 Using a steel die, stickers or a stamp add leaves to the center cluster with the photo. 6. 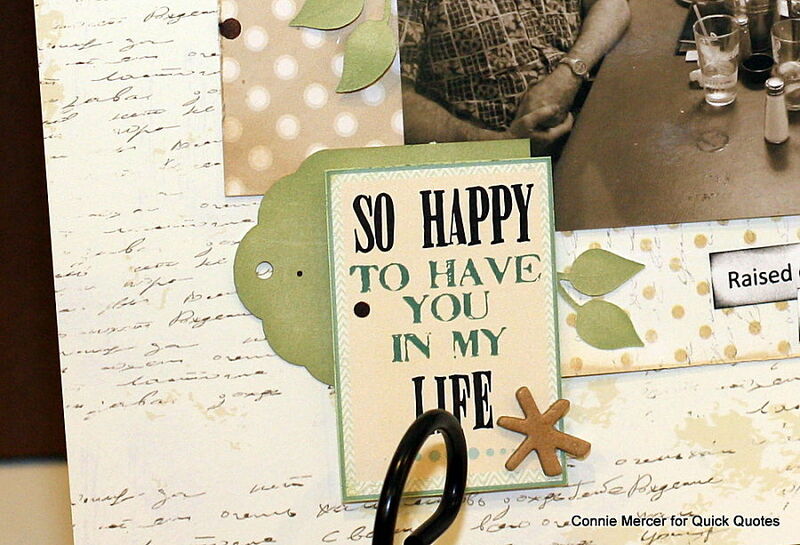 Add a Quick Quotes sentiment from the Chiffon Collection. 9. Speckle with mist if desired.